A baby naming ceremony is held to celebrate a new baby’s arrival and naming. In Sydney and other areas of Australia, the naming ceremony is often held at around the same time as the baby’s first birthday party. A naming ceremony is not a legal ceremony and is not usually religious. It is performed by celebrants in Sydney. It is a ceremony of love and gratitude for the new addition to your family and celebrates the miracle of life, birth, love, and cherished. Naming ceremonies are usually in the form of a party, with a cake, refreshments, music, decorations, and themes. Sydney celebrants, or celebrants in your local area, perform an official naming service for your baby.The service is usually fun, cute, and creative. Creative rituals are often performed.Rituals are only limited by your imagination and can include lighting a candle, reciting a poem, telling stories about your baby and their life so far, paintings, great photograph displays, and much more. Guests may write their wishes for the child on cards for the child to read when they get older. As your naming ceremony celebrant in Sydney Jan performs a celebratory service where she talks lovingly of your baby’s new life and their coming into the world. Parents can have as much or as little input into the celebrant’s speech as they wish. Often grandparents are involved in the ceremony, and close friends or family members may be named life guardians at this special occasion. 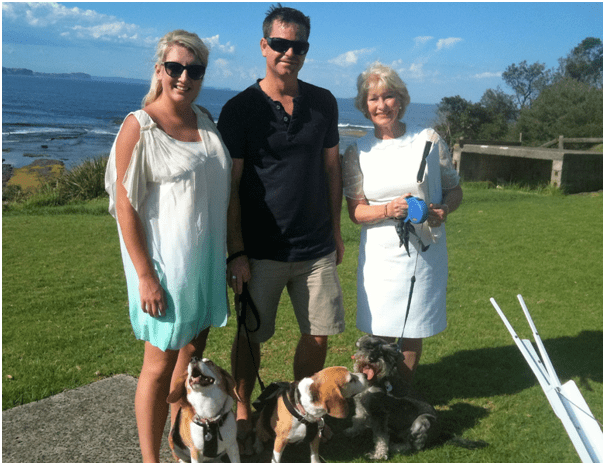 A naming ceremony is done by naming ceremony celebrants in Sydney, and can often be the same celebrant who married you. As a celebrant, Jan is personable, fun, bubbly and friendly. She has a great sense of humor and delights in performing ceremonies for all occasions. When choosing a marriage celebrant, choose someone that you relate well to. They should communicate well, have great people skills, and understand the theme of your wedding. This is one of the most personal and emotional days of your life and your celebrant should be able to reflect your personalities and your relationship in the service. The ceremony is a major part of wedding ceremonies in Sydney and you want to be sure that the celebrant that you choose is available on your chosen wedding date. Book your celebrant early to avoid disappointment! When choosing a Sydney marriage celebrant, ask about their attire!Make sure that it fits in with your colour scheme and the theme of your special day. Your celebrant needs to be able to make the service very uniquely you. Make the vows your own, and speak with your celebrant about what you would like them to say about you and your relationship. With so much to organize, many couples leave the ceremony entirely up to the wedding celebrant. With Ceremonies With Style, you can have as much or as little input as you like. Having a written contract with your wedding celebrant firms up any details that you are unsure of. It sets out terms and conditions for everyone involved. For wedding ceremonies in Sydney contact Jan. She will work with you to create a warm and joyful ceremony that will be a major part of your special day. Start planning your wedding ceremonies in Sydney early to avoid a last-minute rush. When you book at the last minute your ideal caters, venue, celebrant and honeymoon destination may not be available or may have gone up in price. By booking early you not only feel more calm and organized, you have more time to think of the smaller details such as guest seating cards, table decorations, chair decorations and the like. As a wedding celebrant in Sydney, I have performed many wedding services and seen numerous beautiful weddings. The best weddings are thoroughly researched. Spend a lot of time deciding exactly what you want before you book. At Ceremonies with Style we recommend visiting the wedding venue, sampling the food and wine that you are having at your reception, and meeting with Jan as your wedding celebrant to organize the ceremony in detail. We recommend that you use the internet to your best advantage when planning your wedding. Research venues on Google using various search terms. Pinterest has some great ideas for flowers, decorations, wedding gowns and much more. Invitations, cakes, photography, videographer, caterers and wedding celebrants in Sydney offer a variety of different services and pricing options. Compare the services online and via telephone. Visit the vendors who most meet your needs to see their product range in person. We recommend comparing 2-3 vendors for each service. Booking your ideal venue well ahead of time will ensure that you have the perfect location for your wedding day. If you leave this vital aspect of your wedding too long, you may not be able to secure it to your chosen date. As your Sydney wedding celebrant, I suggest you meet with me and go through the service. We need to ensure that we are both on the same page about the style and theme of your wedding ceremony. 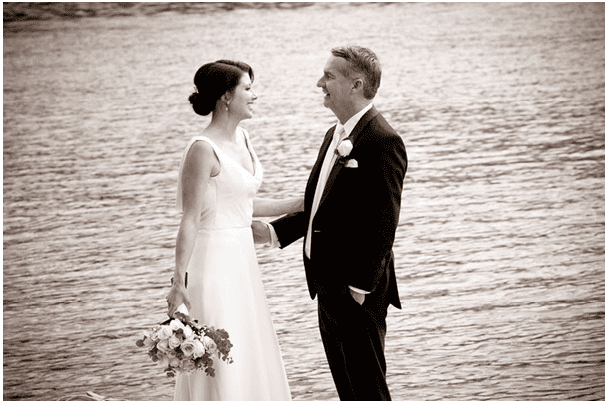 For beautiful wedding ceremonies in Sydney contact Jan at Ceremonies with Style. Together we can create your dream wedding day. Planning an overseas wedding is an exciting start of your new life together. While planning the wedding you get to dream of your exotic wedding location and well-deserved honeymoon! This is your wedding day and honeymoon, so choose a location that you both love. Your guests will probably need to save up to attend your wedding, so give them plenty of notice. Consider if there is child-friendly accommodation nearby, what activities there are for guests and their kids, and whether the location is within their budget. Many guests marrying overseas have small wedding ceremonies in Sydney beforehand. This may be just a simple ceremony with witnesses, or you may wish to invite some of the guests that are not attending your overseas wedding. Having the legal aspect of your wedding performed in Australia saves on paperwork and fees. And you get to have two celebrations! When you are having a destination wedding there is much more to organize than just the location and venue. It can take dedication, planning, and flair to organize your dream day! As a Sydney celebrant, I find that the photography at your destination wedding is one of the first things to organize. As a marriage celebrant in Sydney, I have performed beautiful wedding ceremonies throughout New South Wales and Australia and I am able to marry you in the US. With a little planning and by taking the below tips into consideration, your wedding photography will be stunning whichever destination you choose. Has a price that fits your budget. Ensure that your photographer has the correct permits and forms to be granted access to your wedding ceremony in Sydney or your wedding destination. There are different regulations for different countries. Check with your wedding venue for more information and them venue has indemnity insurance. Liaise with your photographer to see what is the best time of day for lighting for your photos. Sunrises and sunsets occur at different times of day throughout the world. Sydney celebrants recommend meeting with your photographer to discuss exactly the effect that you want for your photographs. Black and white shots, backdrops and romantic beach sunset photos can all be scheduled easily ahead of time. On the day there is so much going on … having a plan will ensure that all of the main shoots that are important to you will be taken. Consider also some shoots for after the wedding if you are staying on for your honeymoon. Your wedding destination is a place that you will visit perhaps just once in your lifetime. A little planning can lead to perfect destination wedding photography. Contact Jan Littlejohn, marriage celebrant Sydney, for more information on beautiful weddings. Above all, when planning your elopement wedding ceremony withinSydney, New South Wales or any other areas, remember that it is your day! You have chosen a luxury elopement and will be very happy and excited about your wedding plans, however it can be easy to be sidetracked from your original plan when you organise your guest list! DO keep the list small and invite just 4-8people – keeping your function private. An elopement is designed to be small and intimate. Sometimes it canoffend those who were not invited more if you keep the numbers small. DO Ask for discretion from your guests – Ensure that your wedding is kept a secret to avoid calls from uninvited friends! DON’T feel obligated to invite people. You have your own reasons for eloping and for keeping the ceremony small. Invite only those that you wish to invite. Your family and friends will understand. They love you and want to see you happy. DON’T check with guests for their preferences – elopement is supposed to be everything the couple wants! Always keep in mind that this is your day and your way to suit yourselves. Your guests will be happy to share the day with you and pleased that they were invited to your intimate ceremony. Of all the marriage ceremonies performed by Sydney celebrants, intimate ceremonies are becoming more and more popular. Organising your elopement ceremony with a friendly and fun celebrant is a terrific start to your new life together.Contact Ceremonies with Style, your Wedding Celebrant Sydney and New South Wales for a chat about how we can together create your perfect day. Elopement Ceremonies in New South Wales, and across Australiahave become widely popular for a variety of reasons. Having a small gathering has the same legal ramifications as a large formal wedding, and the love and commitment that you extend to each other on your day is still just as romantic and memorable. Whatever the reason,I will organise a memorable service that you will treasure forever. The level of commitment that you make on that day, and the beauty of the service is just as meaningful as that made at a large traditional wedding. For more information on elopement ceremonies or traditional weddings, contact Ceremonies with Style, your renowned and friendly Marriage Celebrant in Sydney. If you have decided to elope on your big day, there is still a little planning to be done!As an experienced and renowned marriage celebrant in Sydney and surrounding areas I have found that couples are sometimes unaware of certain details that need to be organised for their big day. Here are some important tips to consider when you are planning to elope in New South Wales, or any area at all! As a non-denominational wedding celebrant Sydney area I will need to be booked in advance to ensure that I am available on your special day. Like-wise, your chosen venue for your special day. If your intimate elopement ceremony is to be held in a public place such as the beach or a Council park there may be permits required from the relevant Council. Allow as much time as possible when booking your celebrant and romantic venue to ensure that they are available on the day that you wish to get married! Also, it is best to arrange for your accommodation well in advance. If your elopement destination is a tourist hotspot, if you are getting married in the holiday season, rooms may book up quickly. Book in advance to ensure that you have your first choice in accommodation for your wedding night and honeymoon. So if you are planning on eloping or a small intimate there is still some required planning. Take the above into consideration the venue, legalities, and ceremony will be exactly what you wish for. Contact me at Ceremonies with Style, yourMarriage Celebrant Sydney, for more information. https://www.ceremonieswithstyle.com.au/wp-content/uploads/2017/02/CeremonieswithStyleLogo.png 0 0 Jan https://www.ceremonieswithstyle.com.au/wp-content/uploads/2017/02/CeremonieswithStyleLogo.png Jan2017-06-26 06:16:272017-06-26 06:19:47Planning to Elope? Important Tips to Consider! There has been a recent increase in couple’s deciding to elope rather than having a big public celebration. There are many different reasons for shunning big wedding ceremonies and eloping to tie the knot! You may love to travel, you may not like a lot of fuss, or you may not want the stress or expense of planning a wedding. Enjoy the moment. It passes very quickly. Choose a venue that you love. Wear whatever makes you happy. Your ceremony can be just you two, a wedding celebrant and two witnesses or a small group of friends and family. There are many elopement packages available. Having a dinner, barbeque or even some drinks and nibbles at home with a select few is a nice idea. It will make your friends and family feel included. Have any photographs / video / slideshows on hand. In Australia you need to complete a Notice of Intended Marriage Form at least one month and one day before your ceremony. You will also need to book your wedding celebrant and or elopement package with as much notice as possible to ensure that you can book your ideal date. When you elope you will generally save a bundle compared to the cost of large wedding packages. So if you want to stay in nice accommodation for the night, or spend a little on a honeymoon go ahead! It is your day and it can be as simple or as extravagant as you like. This is your day! Remember the reason that you decided to elope in the first place! If friends or family are upset with your decision to elope try to understand that it is usually because they just wanted to share your special day with you. They will understand. When you take these tips into consideration “You Will” enjoy your day and have the perfect elopement!